Kermit the Frog's longtime voice actor says Disney decided to replace him all the way back in October 2016. The voice actor for the world's most famous frog has been replaced. Steve Whitmire has voiced Kermit for the past 27 years, but the actor says Disney decided to replace him. Whitmire was hand-picked to play Kermit after creator Jim Henson died in 1990. Whitmire has voiced other characters since he joined the Muppets in 1978, like Beaker, Rizzo the Rat and Statler the heckler. In a blog post, Whitmire said he was first notified of the company's decision almost a year ago. He said he stayed silent hoping Disney would change its mind. Whitmire went on to say, "I am sorry if I have disappointed any of you at any point" and said he was devastated to have failed his hero, Jim Henson. 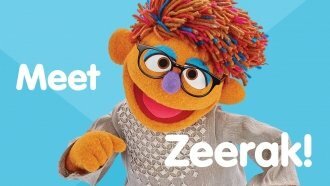 Matt Vogel, another Muppets voice actor, will be taking over starting next week. Vogel's voice may sound familiar: He played Constantine — an evil Kermit look-a-like — in the "Muppets Most Wanted" movie. A spokesperson for Disney thanked Whitmire for his contributions to the franchise and wished him well in the future.